Well known for their fish finders, depth sounders and other marine orientated electronic gear, Lowrance have launched the all-new Endura range of GPS navigators – the base model ‘Out & Back’ (RRP $339.00), plus the top spec ‘Sierra’ (RRP $699.00). While Lowrance have had GPS navigators prior to the Endura, this new range is a huge step up in offerings and seems to tick all the boxes for what you could ask for in a hand held GPS device, especially given it also includes street mapping, topo maps, MP3 player, video player with a host of usable features. We've had the top model Sierra on test for a few months and it has proved to be extremely simple and self explanatory to use – after all who wants to read the manual! The ability to use practically all commands via either the touch screen or the buttons is a great feature and makes navigation and general use particularly easy. You don’t need to know when to use either the touch screen or the buttons for each application – they both work independently and accept the required commands. No need for a stylus to tap on the screen either, the onscreen ‘touch pads’ are large enough to operate with most big boofy fingers. Having two AA sized batteries makes for (in my mind) a more usable ‘away-from-recharging-facilities’ unit, in that you can slip in fresh batteries when required – either new ones or rechargeable. No need to wait to recharge an inbuilt (non-removable) battery system when you get back to your power source. The unit slips into a standby mode automatically to preserve battery life. Powering up the Sierra sees a bright (adjustable) and easy-to-read screen. Zooming into the streets / maps sees accuracy and quality of line-work maintained – it doesn’t pixelate as you zoom in which makes detailed map reading all the more easy. The rubber grip gives a sure-feeling to the whole unit, which is water proof to IPX7 standards - the GPS case can withstand immersion into one meter of water for up to 30 minutes. There is a mini USB port, a micro SD card slot for up to a 32GB card and it’s both PC and Mac compatible and will show up on your computer as a mass storage device. The unit measures just 130mm by 60mm by 31 mm and weighs 165g (without batteries) - a good sized for hand held operations. While the specs tell us it’s a 2.7 inch screen, we’ve measured it to be 41mm wide and 55mm high with a diagonal of 68mm. Hill shade, high detail topographic maps with contours (20m in New Zealand, 50m in Australia), roads (NAVTEQ road network), tracks and points of interest are all preloaded, plus optional maps can be purchased and loaded via your computer onto an SD card. Unfortunately the ‘spoken turn-by-turn’ option was not loaded into our test unit, so when searching for a street destination it would just show us a direct line from our current location to the final address – not overly helpful when you’ve got a hundred or so streets to navigate. Loading the optional voice guidance will overcome this and essentially give you a (similar to) full street navigator – very handy! 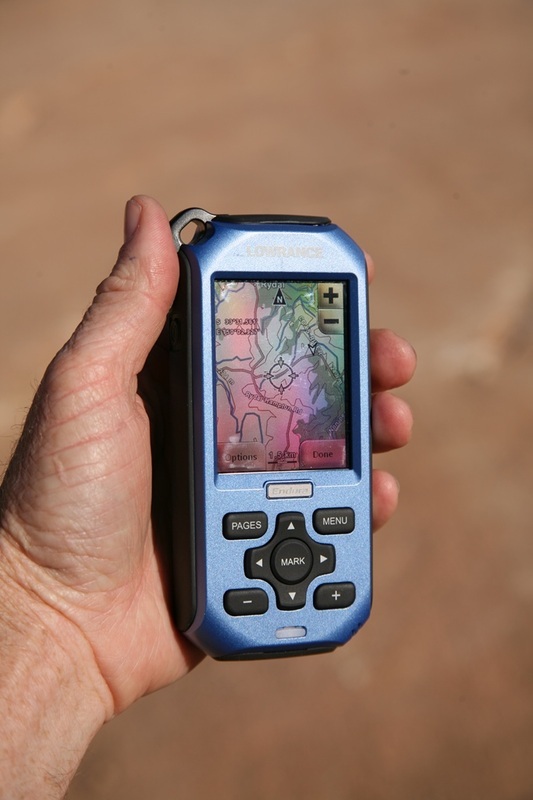 The system also allows for easy Geocaching – a bit of fun for the kids and adults alike to find hidden treasures. The magnetic compass and barometric sensor allows for the inbuilt compass to work accurately without having to be on the move like some others. You can also walk or drive a route or track, save it to your GPS, transfer it to Google Earth as a GPX file to view on your computer, then email to whoever you choose. This allows you to share your experience with friends as well as showing off where you’ve been in our great country by overlaying onto a map. If you so wish to make use of all the extra features, you can play MP3 files (and listen to via the inbuilt head phone jack), up load photos and videos all onto the mini SD card. All up, the Sierra Endura offers a great navigation option, is extremely user friendly in its operation as well as having the excellent ability to download / upload info onto or from your computer – especially being able to upload track files from publically available (read free) websites, which then overlay onto the onboard maps. We’ve plotted way points, looked for Geocaching points and followed minor roads and tracks with the Sierra all without fault. We even worked out how far it was from Luna Park in Sydney to the Police Station on Fraser Island…who cares how far really, but it can be done! Having this type of GPS navigator sure makes sense, as it can be used in-car (separate mounts and car chargers are available), as well as while out paddling the canoe, fishing… and marking exactly where you caught that big one…, as well as hiking, following and backtracking your way through the scrub and even helping to find a local restaurant or other point of interest. Now we’ve never got an excuse for being geographically misplaced! For more information on the range of Lowrance GPS navigators log on to www.navico.com or phone (02) 9936 1000.